By now, most business owners are aware of the sheer reach Amazon has when it comes to product-based businesses. If you’re not already selling on Amazon, you should be – 55% of product searches began on the retail giant in 2016, according to a bloomreach survey, putting Amazon’s numbers ahead of even Google. However, optimizing the return on your advertising investment isn’t as simple as hiring a traditional ad service – at least, not anymore. How Is an Amazon Agency Different? Clearly, Amazon functions as a product search engine and as a comparison tool, featuring user reviews of thousands of products and brands. Additionally, a high percentage of these searches result in purchases, making Amazon an ideal place for product launches. Traditional advertising agencies tend to neglect one or more of these aspects in favor of marketing on multiple platforms or, perhaps worse, fail to recognize the unique qualities of Amazon altogether. An Amazon Agency knows Amazon from top to bottom and provides services tailored for this purpose. Account management from beginning to end includes management through your Seller Central information. The Amazon agency will write compelling product descriptions and features, manage the seller account and reputation management, give advanced listing strategies, and provide training for FBA and Self Fulfillment, and shipment and fulfillment. These offerings make Amazon Agencies head and shoulders above a traditional agency when it comes to selling your products on Amazon. What Do These Amazon Agency Services Look Like? Fulfilled by Amazon (FBA) Management, or fulfillment management through Amazon and provided by an Amazon Agency, includes setting your product up for shipping by Amazon itself from one of the many distribution centers nationwide. Setting up your seller account and taking care of all the details you’d normally shoulder on your own is a primary service an Amazon Agency offers that traditional ad agencies cannot. Amazon Agencies know which types of ads are most effective for Amazon and can help you make the most of your advertising dollar. Amazon Agencies can tailor sponsored, headline, and display ads especially for you; no more wasting time and money on ineffective ads on dead platforms. Creative Designing makes the most of your product placement on Amazon by providing photos, text, and design work geared towards selling on the Amazon site. Management by professionals who have experience designing product media for Amazon can help ensure you are maximizing your visual presence. This can include sending products to Amazon to ship via FBA as well as Seller Fulfilled Prime (SFP). In either case, managing inventory with an Amazon Agency ensures you have product ready to ship when needed and guarantees a seamless process when it comes to fulfilling orders. When it comes to customer service, experts at an Amazon Agency can provide 100% of the necessary face-to-face services to your customers. Relying on an Amazon Agency to maintain your storefront ensures that the most knowledgeable people in the industry are taking care of your customers while you grow your business. 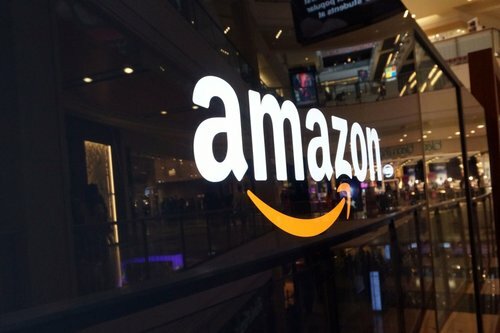 Revenue sharing, in general terms, involves the business owner and the Amazon Agency sharing profits from sales generated by the Agency’s efforts to promote the product. Put another way, the business owner pays a small fee to the Agency for each sale, as compensation for their work. This allows a relationship where both the business owner and the Agency can benefit. Another compensation option is a monthly retainer, in which the business owner pays a monthly fee to ensure that the Amazon Agency will provide the agreed-upon services regardless of sales. These fees guarantee the rendering of services but not the final output. Contact PDMG to discuss which model is right for you. Could your business benefit from the services of an Amazon Agency? The simple answer is yes; if you are not yet selling your products on Amazon, there’s no better time to start. In fact, according to New York Magazine, not only do most product searches begin on Amazon, but more than half of all e-commerce in 2019 will take place through the site as well. Even if you are already selling on Amazon, Amazon Agencies such as PDMG provide customized, full-service advertising and storefront management geared towards Amazon customers from start to finish. No matter your business’s needs, PDMG’s wide array of highly customizable Amazon-based services has the resources and the expertise to bring you the best possible solution. Insight into the largest marketplace in history could be the best tool in your arsenal. For more information on these and other Amazon-related services, check out PDMG’s Amazon Services page.